Just like a tulip bulb placed in the ground—covered and buried—waiting for the sun, rain, and dew to schedule its arrival, we too must wait on the seasons to change. 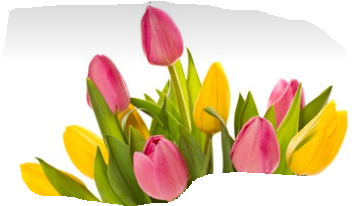 March and April signify the end of winter and new beginnings of spring. With the coming of rain comes the blooming of flowers, and then come allergies. It is a give-and-take transition that has every one and all of God’s creation anticipating what will be. As we look beyond yesterday, preparing for today and contemplating tomorrow, sometimes we might forget that the world itself is still turning. We move within the movement of here and now. The National Association of American Veterans, Inc. is always conscious of the lives of American Veterans and their family members’ needs amid the many heroic challenges they faced and constantly are facing. NAAV serves on the outside of an inner world that continues to turn. This organization founded by a passionate visionary, President and CEO Ms. Constance A. Burns, is like an annual tulip—planted in her calling, buried in administrative duties, and rising to the occasion in her many colors when the sun of opportunity shines on her door. March and April may have slowly surfaced, but the pace and energy of NAAV’s commitment to action and service synchronized with the timing of every need. We would like to share a few of those behind-the-scenes metamorphoses as a reminder that although things might seem to be standing still, frozen in the moment, covered and buried, there is newness of life and bountiful blessings in process. Thank You Constance, I hope and pray veterans can get the support that is needed here so bad. It is serious. I know there are cities across the nation need veteran support. But somehow Las Vegas just doesn’t seem to have very much at this time unfortunately all that can be done is try to give whatever support that can be given. Thank you for your support NAAV. As I mentioned earlier to you, I wish the world had many more people like you and people that surround you that try to help the veterans. You truly are number one in all of your dedication in trying to give support without a doubt. God Bless. The above testimony is from Mr. Ronald Mbiad, a Veteran and resident of Las Vegas, Nevada, who received rental, utilities, and emergency assistance this year. NAAV is also providing assistance with his résumé and employment. One hand to another: Mr. Mbiad received what was given and extended his blessing to another. Through support and assistance provided by NAAV, Mr. Mbiad has handed the torch to another Veteran residing in Las Vegas. Just recently he reached out to Mr. Glenn Platt, coming alongside NAAV, who was instrumental in getting Mr. Platt’s rental payment reduced by over $400 per month. I think he thinks I am divine intervention, besides you, here in Las Vegas . . . Sometimes I talk to him like a little boy, but not always . . . He is so happy right now and that’s good . . . I refused to take him to a place recommended for him to get a doctor, they are terrible; I know all about them. I got him a good place. Provided emergency assistance for Sandra DePew, the caregiver of a disabled Vietnam War–era Veteran, Raymond DePew, residing in Festus, Missouri. With the assistance of Lowe’s, NAAV was able to secure a washer and dryer for the couple and help with property and utilities bills because Raymond is on oxygen and has needed 24/7 medical care. NAAV is working to secure a donated car for transportation, too. Funded a field trip for a caregiver of a Gulf War Veteran on March 13 to the Baltimore Black Wax Museum, including lunch for two. Provided payment for rental assistance with support from NAAV partner at Operation First Response.org to David and Kimberley LaPoint of Conyers, Georgia. Bountiful blessings: NAAV was able to get late fees removed by Property Management and thus avoided a potential eviction for this Veteran family, who have two children, thanks to NAAV supporters and partners nationwide! Helped another Veteran in Georgia with rental assistance during March 2018. Assisted over 75 veterans and families with their claims and benefits at the DC VA Medical Center Benefits Office. Helped over 400 callers and email requests for benefits and emergency assistance using NAAV resources and referrals nationwide. Ms. Constance A. Burns, President and CEO of NAAV, attended a conference on Mental Health and First Aid on March 23, 2018. 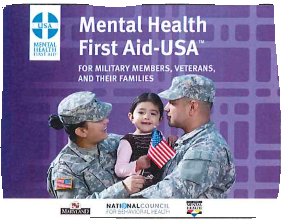 Hello, Thank you all that were able to attend the Mental Health First Aid workshop at the DC VA Medical Center last Thursday. You were a wonderful audience and I think there were even several connections made in the room! I hope that you found the information helpful and meaningful for the work that you do. As a Mental Health First Aider, you are now equipped with knowledge and resources to help reduce the stigma of mental health and increase the outcomes of individuals getting to the help they need. NAAV, loving thy neighbor: Always willing to step up to the plate . . . seeking a higher calling as a missionary for Veterans and their family members. Ms. Burns received three certificates for her participation in this crucial area that affects both Veterans and family members of Veterans. On behalf of the National Association of American Veterans, thank you once again for your continued support, time, and prayers for this organization and its mission to give back to those who gave so much, our Veterans and their family members. May the light of God’s glory shine brightly in your hearts. Happy springtime!